If you have light scratches and scuffs but don’t want to work by hand there’s now a great solution with Meguiar’s Quik Scratch Eraser Kit. This kit includes everything you need to remove light imperfections quickly and easily. The kit comes with Meguiar’s proprietary 4” Scratch Eraser Pad that attaches to a standard household drill greatly reducing the time and effort it takes to remove light defects when used with Meguiar’s ScratchX® 2.0, also included in the kit. Meguiar’s ScratchX 2.0 contains microscopic abrasives to quickly and safely erase blemishes like light scratches, scuff marks, paint transfer, fingernail marks around door handles, light defects and more! The last component in the kit is a premium microfiber towel to safely and gently remove the ScratchX 2.0 and bring up a brilliant shine. 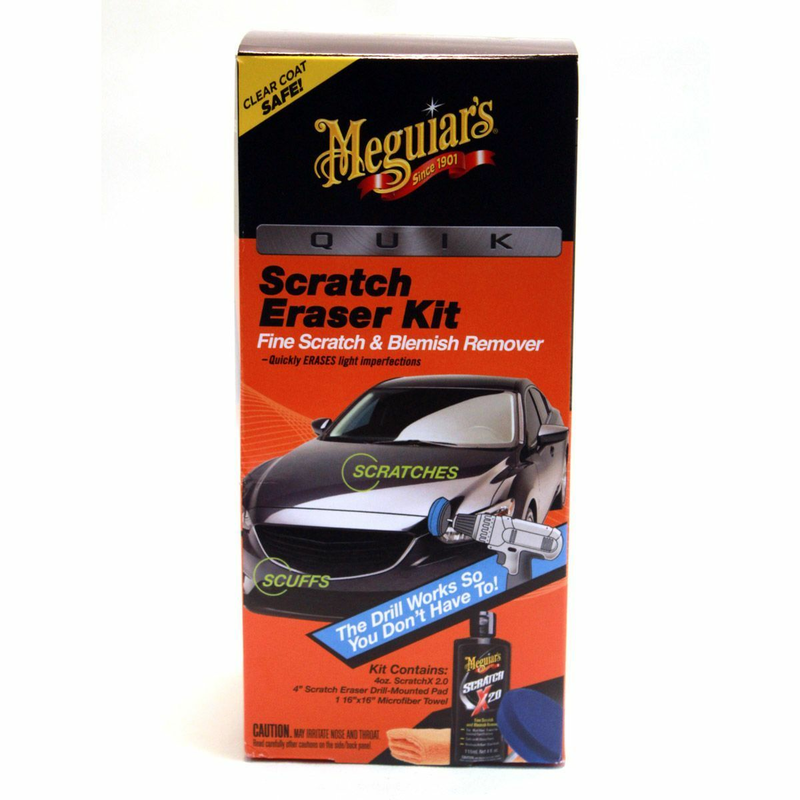 So, if you have fine scratches and blemishes let the drill do the work and erase them with Meguiar’s Quik Scratch Eraser Kit!